Our CBD pain relief roll-on is derived from Colorado’s highest quality organic cannbidiol and has 0% THC. it is made in the USA and is laboratory analyzed to assure consistent potency. Per milligram this is our most affordable pain relief product. This is a topical gel so it isn’t to be swallowed. 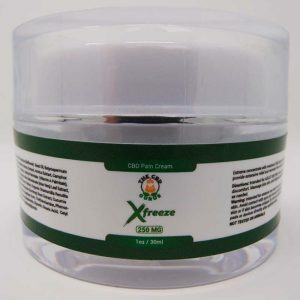 Aloe Vera Extract, Carbomer, Arnica Montana Extract, Tea Tree Oil, FD&CBlue, FC&C Yellow 10, Ilex Paraguanensis Leaf Extract, Isopropyl Alcohol, Hethylparaben, Tocopheryl Acetate(Vit E), Triethanotamine, Water. I have been using this on my hands for my arthritis. It has definitely made a difference. My hands ache a whole lot less. I would recommend this product. I have an elbow that I hyperextended a number of years ago and acts up on occasion. I have been using this gel roll-on for the past couple of months when it does act up. Within 5-7 minutes I can feel it working. I like this stuff because it works good on my aching elbow. That and I don’t stink like menthol, like some similar kinds of products.